Last Thursday, we invited our Finnish customers to a knowledge sharing breakfast event to our Smarp headquarters. Let's go through the key insights and learnings we shared during this inspiring community event! As a Customer Success Manager, I spend most of my days giving customers individualized support to help them inform and engage their employees. Last Thursday was different. 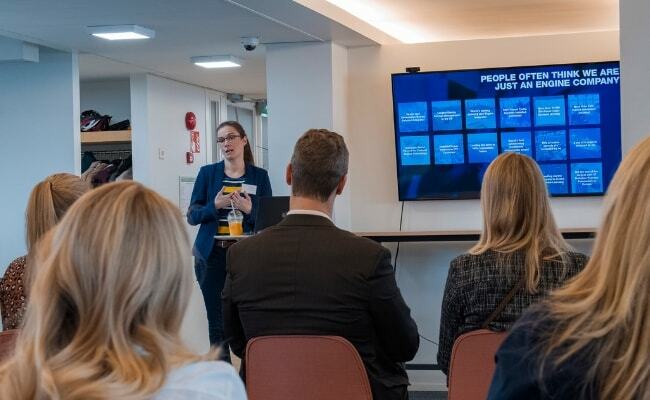 We gathered our most active Finnish clients together and threw them a breakfast event at our Helsinki headquarters so that they could exchange ideas and learnings not just with us CSM’s, but with each other! And let me say - this was no typical quiet gathering (as is the Finnish stereotype), but the room was buzzing with chatter and knowledge sharing! We are really proud of the Smarp community and we in Customer Success and Marketing want our customers to be an integral part of our cultural space. 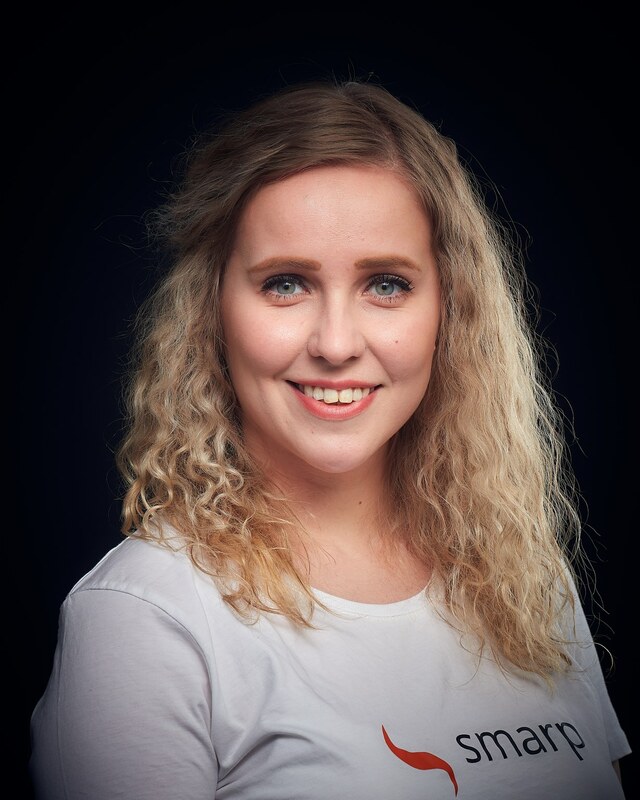 I think it's absolutely fantastic that we can not only help them in their individual journeys, but also connect them with our community of other Smarp users and help them help each other! Sometimes it really is best to put your heads together with others who are on the same journey as you. After some networking and breakfast, our event got a proper kick-off with a presentation by Mari Kankaanranta from Wärtsilä. Wärtsilä is one of Smarp’s key accounts and we were very privileged to have Mari as our guest speaker in this event. • It is important to have clear objectives in your employee advocacy program and tailor your content strategy to deliver value to those objectives. • Take the effort to communicate with and nurture your employee advocacy community. See the potential in their expertise and networks. Encourage them to propose the interesting content to you! • Building and growing a successful employee advocacy program takes time and punctuality. Take small steps with consistency in mind, and make it an integral part of your weekly routine. • Quality over quantity. Favor content that brings value to your colleagues and networks. And most importantly, share your own thoughts and comments when posting content! 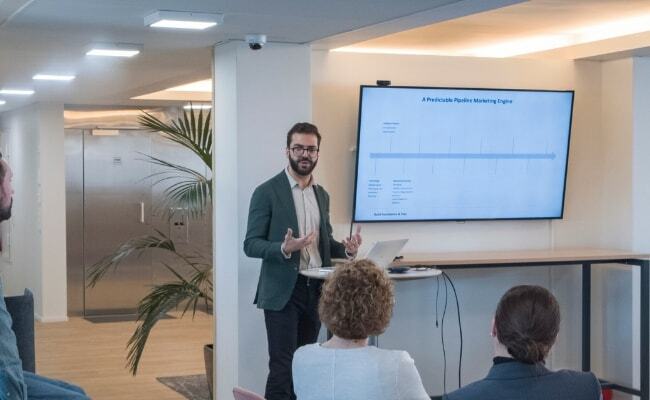 Our second speaker of the event was our very own Head of Marketing, Bruno Bin, who did an excellent job in presenting the marketing landscape in 2019, and showed how to navigate it with a strategic mindset. • MarTech is a wild place. Structure your content, people and marketing technology around a predictable pipeline marketing engine. • Leads are not all equal. Understand the value of each lead and how it impacts pipeline. Monitor performance often and make adjustments as you go. • Leverage Smarp for internal marketing so the entire company understands what you’re creating and the value it brings. I think our event had a really good mix of high level as well as practical discussion that gave a lot of value and ideas for our clients. Also, based on the feedback that our clients gave us, there is clear interest and need to keep learning more from each other and joining each other's journeys. For us at Smarp, this is something we are looking forward to implementing even more during the months to come. Are you interested in learning more from our clients? Check out how Jabra has reached 13 million people on social media through Smarp! Smarp.com Gets a New Look!